The Concept Space close coupled corner toilet has been designed to help you get more out of your bathroom. 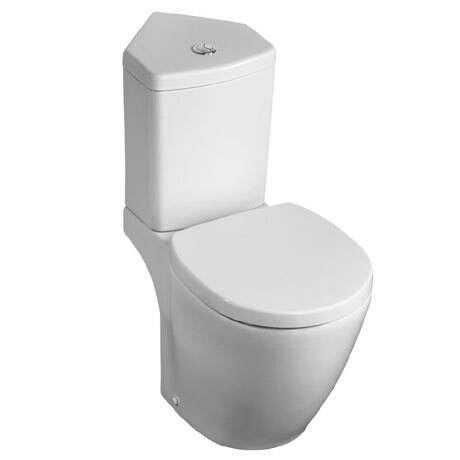 Perfect for small sized bathrooms, it features a water efficient cistern that uses a dual flush 6 or 4 litres and comes complete with a chrome flush button and cistern fittings. Comes with the option of a standard or soft close seat. Dimensions: (W)365 x (D)750 x (H)775mm approx.